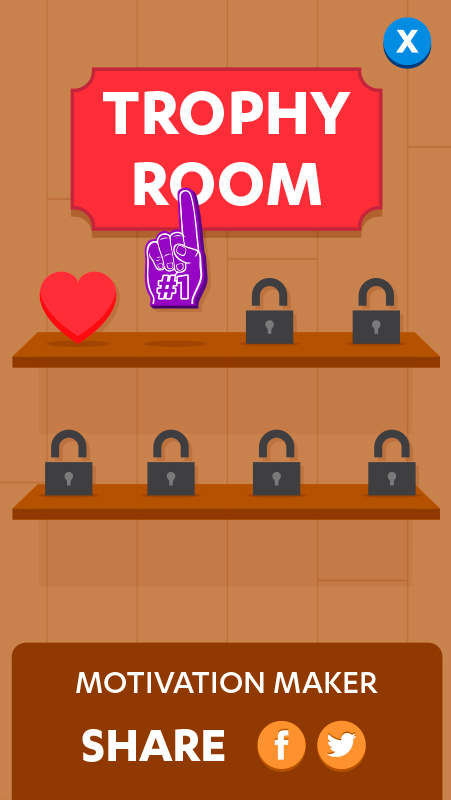 Drag, tap or tilt your way through mini-games to earn points, tokens, achievements and trophies. Share your success with friends on Facebook and Twitter, and learn a thing or two about keeping your body and mind healthy. 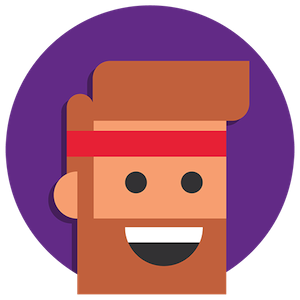 Let our three fitness gurus – MRY, TRVR and FERO – guide you, level by level, through fast-paced mini-games that challenge your mind and put your speed and agility to the test. 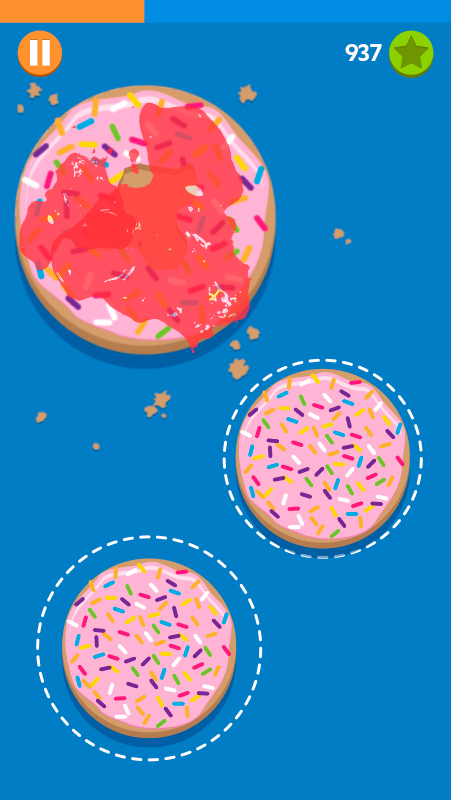 • Destroy donuts by tapping them as quickly as possible in Junk Food Fury. • Remember patterns and repeat them in Patternpalooza. It’s harder than you think. • Solve various logic equations in Logic Lunacy. • Tap to shoot bad drinks like pop, coffee and milkshakes in Hydromania. 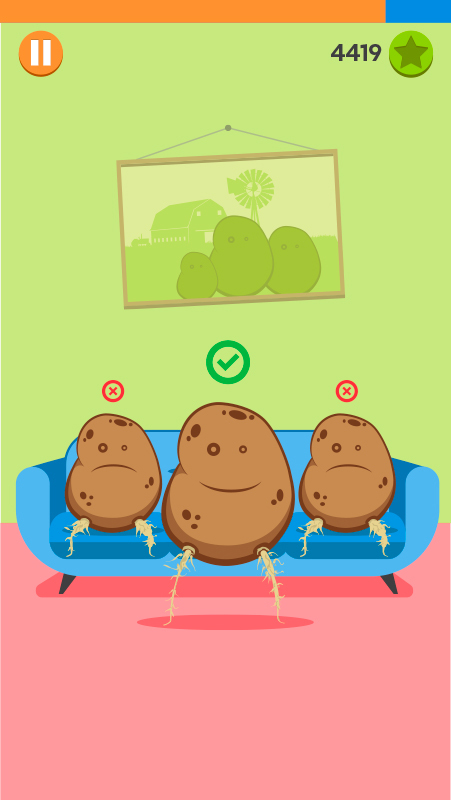 • Motivate lazy couch potatoes by giving them a tap in Potato Poke. 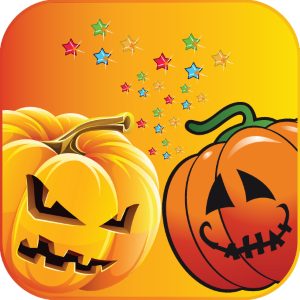 • Drag your finger to search for fruit in Fruit Find Frenzy. • Tilt your device to achieve work/life balance in EquiLIVErium. FRNZY is a collection of fast-paced, educational mini-games that get increasingly more difficult the longer you survive. A good mix of brainteaser, timed reaction, and manual dexterity challenges come together in a well-polished package with accompanying chiptune soundtrack. 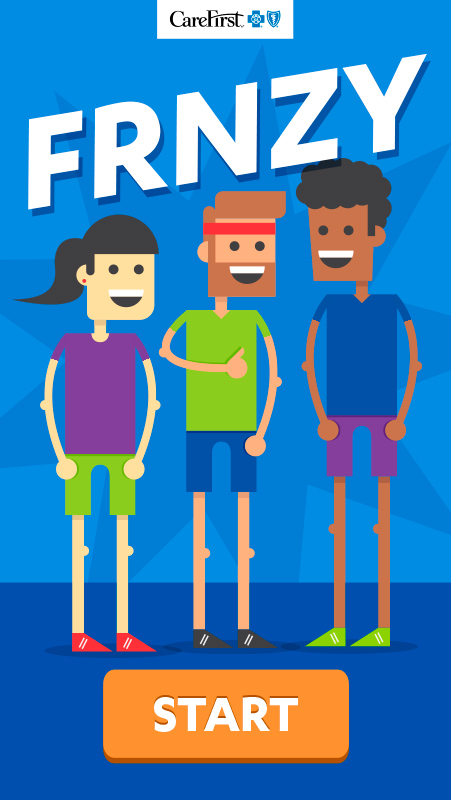 FRNZY’s aim is to promote health and wellness in an unpretentious way through the game’s messaging. Plus, it’s absolutely free to download and doesn’t bug you with annoying ads that disrupt game play. 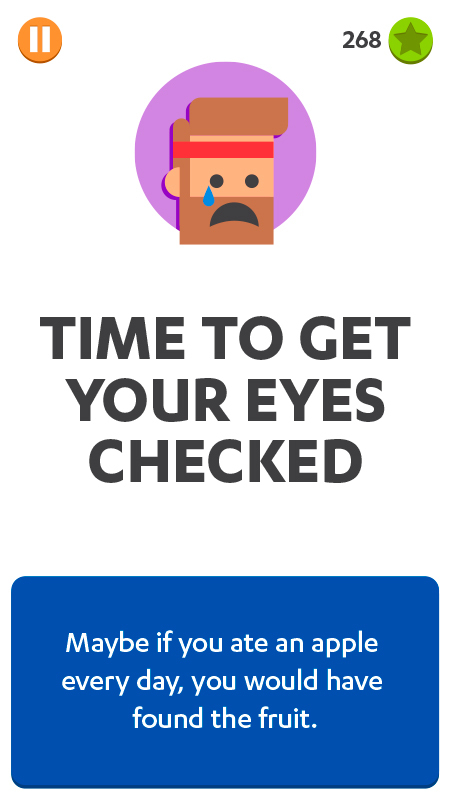 Each mini-game is served up randomly, without delay, so focus is vital. Reaching the Insane difficulty level with all three lives will separate a causal player from a committed one. 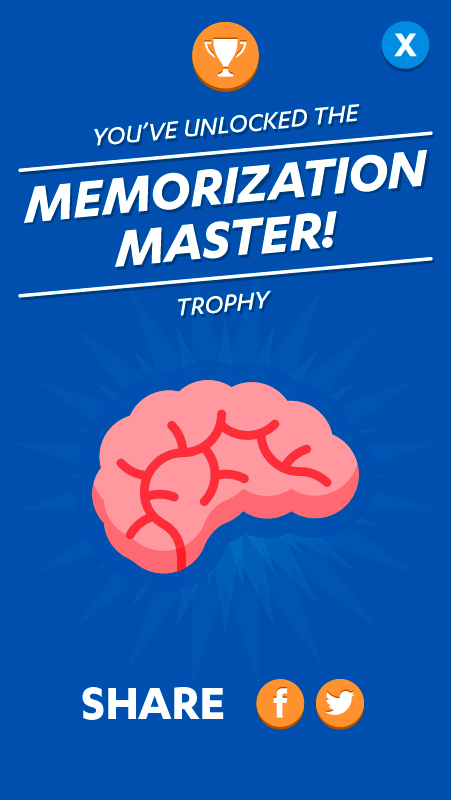 Each time you complete a round you bank coins that unlock trophies. In the future, we plan on letting players spend coins they’ve earned on power-ups and additional content. Tips: Try resting your device on a flat surface while you play for added concentration. 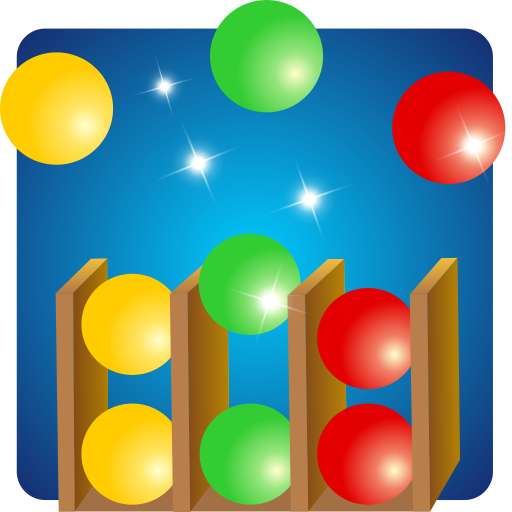 Don’t hesitate to use multiple fingers or hands to play a particular mini-game.